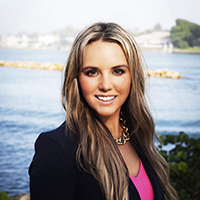 Dr. Brandi Rials is a Florida Licensed Psychologist and co-owner at Palm Beach Behavioral Health and Wellness. She serves as the national Clinical Director for PBBHW’s psychology training programs and has been a faculty member teaching graduate level courses in the areas of lifespan development and expressive arts therapies with children. Dr. Rials specializes in the diagnosis and treatment of children and adolescents with ADHD, social interaction problems, disordered eating patterns, and academic concerns. She offers therapeutic services for individuals, groups and families and conducts developmental, diagnostic and psycho-educational evaluations. Additionally, she provides consultation services, trainings, and APA continuing education presentations for providers in the community. Dr. Rials subscribes to a holistic approach to treatment, incorporating social, emotional, academic, nutritional and physical activity components to her recommendations and interventions. Her experiences working with children in competitive school environments, elite athletics and social service settings fostered a fundamental understanding for the need to incorporate all levels of functioning to achieve optimal performance, health and wellness. Dr. Rials’ integrates complementary methodologies and techniques to offer a highly personalized alliance, tailored to each client. With compassion and understanding, she works with each individual to help build strengths and attain personal growth. Dr. Rials graduated from the University of Cincinnati receiving a Bachelor of Arts with Honors in Psychology degree. From there she continued her education and training at the Illinois School of Professional Psychology in Chicago where she earned her Master’s degree and Doctor of Psychology degree in Clinical Psychology. Dr. Rials additionally holds a certification in plant-based nutrition from Cornell University.